When you think about Valentine's Day, you think of love and romance, of course. You think of hearts, of chocolate, of fancy candlelit dinners, of jewellery. Romance means a lot of different things to different people. There are women who would consider their partner getting up to do dishes, unasked, the ultimate romantic gesture. The hearts of some men would be warmed seeing their wife or girlfriend washing the car. On the flip side, there are folks who require the grandiose — the thought out, planned major event — a weekend getaway or elaborate surprise. 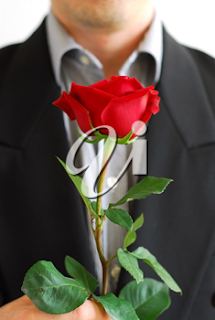 Something that typically comes to mind when one thinks of romance, though, are red roses. These are the flowers to give as a reflection of great passion and love. The number can also have significance, with the single bud meaning love, while 50 proves that love is unconditional. Or maybe just that the buyer has a bigger expense account. Roses are linked to romance in poetry, literature and film. Remember when Meg Ryan's Kate in You've Got Mail is going to finally have a face-to-face with the man to whom she has been enjoying an online dalliance of words. She would be the one with the red rose inside a copy of Pride and Prejudice he was told. Seriously, could that be any more romantic? Actually yes, if you consider that the shade of the rose carries its own meeting. When Tom Hanks's character (who knows now that Kate is the girl from the emails, while she is still in the dark) asks if the rose is red, she corrects him saying it's burgundy. Which signifies a love yet to be realized. Being a typical girl when it comes to these kinds of things, I can only tell you that at this point in the movie my heart melted. As will many in just a few days when gorgeous bouquets of red roses come to them for Valentine's Day.